After a whirlwind of wedding excitement, you and your hubby will be winging your way to the destination of your dreams for a getaway you’ll never forget! 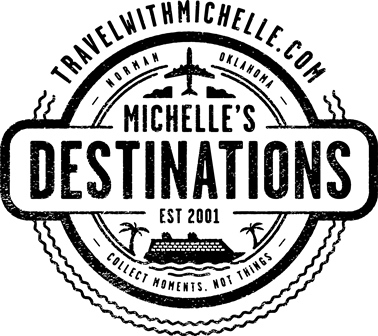 If you’re still deciding where to go and what do, we’ve asked travel expert Michelle Carbone of Michelle’s Destination Unlimited to dish on some of her favorite honeymoon hotspots! Today we’re featuring an amazing destination perfect for a couple seeking something outside the box! Hotel Le St-James, is perfectly situated in Old Montreal, Canada. Surrounded by cobblestone streets, gorgeous architecture, countless boutiques and incredible restaurants, it’s the perfect romantic getaway. You might be there to catch a festival, go to the Cabaret, shop for antiques on Amherst Street and eat your way through the city enjoying all different types of cuisine. While there is a ton of French influence, you’ll also find Tapas, seafood, pizzerias and so much more! Find out more about this honeymoon hotspot and other gorgeous getaways by contacting Michelle’s Destinations Unlimited!